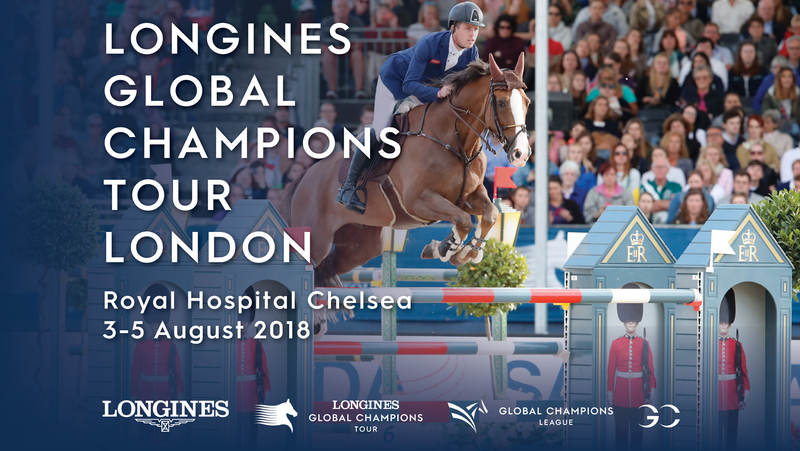 The spectacular Longines Global Champions Tour and GCL of London returns to the Royal Hospital Chelsea from 3rd - 5th August 2018, and you can enjoy 15% off by booking Early Bird Tickets now! Click here to check out what's available, but hurry, they're discounted for a limited time only! With the top show jumpers in the world descending on the heart of London, this is a premium sporting and social event you simply won't want to miss this summer. Early Bird Tickets offer 15% off, so book your place now for a weekend of top sport and entertainment, with something for all the family to enjoy. Longines Global Champions Tour - known as the 'Formula 1' of equestrian sport - brings together the world's top ranked riders to compete in unique locations around the world including Miami Beach, Paris, Shanghai, Monaco, Berlin and Doha for unprecedented prize money, with a brand new GC Prague Play Offs taking place in December. The GCL ranking battle could not be more fierce, with the red-coated London Knights currently in the lead. With the innovative and dynamic team competition hitting full throttle as teams compete against the backdrop of the iconic Royal Hospital Chelsea, the Knights - who include British riders Ben Maher and Emily Moffitt - will be looking for home city support as they fight for valuable points to help qualify them for the all-important GC Prague Play Offs. With a shopping village, refreshment areas, plenty of entertainment and thrilling sporting action packed into three days there will be something for all the family as the LGCT and GCL series raise the temperatures in London. To book your place now and recieve 15% off Early Bird Tickets, please click here.